For someone who said she'd never marry nor have children, motherhood and marriage are recurrent themes in my writing. I remain married and have two sons and no one is more surprised than a few friends from my disco days. You read that right. 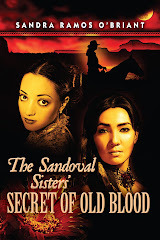 Motherhood and family play strongly in The Sandoval Sisters' Secret of Old Blood. Even though only one sister bears a child in the story, family and the legacy left to future generations is important to the sisters. As it is to me. The Sandoval sisters look back at preserved memories in the ancestral diaries in order to make sense of their present. 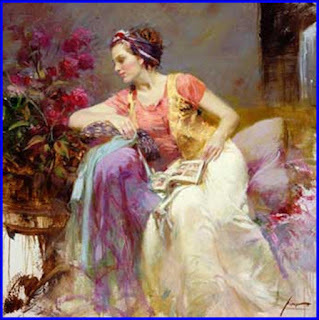 Nothing like that was left for me; I create my present from my interpretation of the past. After my parents' divorce, I lost my mother to 10-hour waitress shifts, six nights per week. I became the de facto “second mother” to my younger brother, even though I was only eight. My mom said I was smart, which is why I was blamed when my brother was hit by a speeding car when I was ten and he was three-years-old. It’s true that I told him to cross the street. I remember the car being way down the block. I turned away because someone behind was calling me. The next thing I remember is the screech of tires. 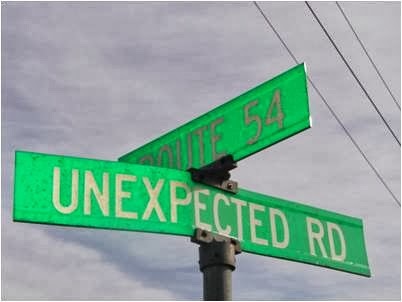 That accident changed all our lives. My brother was hospitalized for several months and my mother began to breastfeed him when she visited. She also arranged for me to go to work with her at Claude’s, the new jazz hotspot on Canyon Road in Santa Fe, where she worked a 5:00 p.m. to 3:00 a.m. shift. Claude’s was a step-up in Mom’s waitressing work. It was 1959 and she was paid only $15 per week (6 nights), but on a good night she could make $25-$75 in tips. Besides the jazz, Claude had live lobster flown in daily. They arrived in wooden crates packed with ice. There were no rubber bands around their claws and they defended themselves by grabbing the tongs with which I poked them. I had to stay in the kitchen and out of the way, but other than the lobsters, my entertainment was Claude’s beatnik girlfriend, replete with long, dark hair that fell in a straight line to her shoulders, bangs and big glasses, straight skirts and a turtle neck sweater. And flats. No one wore athletic shoes in those days. Women either wore heels, or they wore loafers like Claude. Did I mention that Claude was a woman? A crop-haired lesbian of the men’s shirt and khaki variety. But her girlfriends were feminine, pretty . . . and smart. They toted slim volumes of poetry and were kind to me. On slow nights, I got to sit on a chair outside the kitchen and listen to the music and people watch. I learned quickly not to compliment the women. “A tightwad,” Mom would say, “women are the worst tippers,” or, I might get, “She’s cheating on her husband with the saxophone player.” This person was a classmate’s mom. Worse was when she told me that an attractive man at the bar was not only married, but had a male lover. There was no room for crippling romance in my mom's life. Yes, my childhood education was nontraditional, so please forgive my eccentricities. Three major events occurred which changed my life and which were somewhat maternal. At least that’s how I choose to view them. 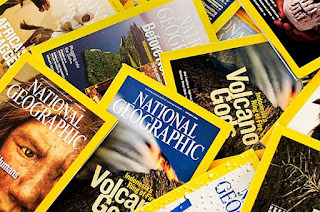 Claude and her beatnik girlfriend came to our house one day with a gift for me: a subscription to National Geographic. While many people, celebrities and others, choose Santa Fe as their personal nirvana, I learned from that yellow-trimmed glossy that there were other destinations in the world and other ways of thinking. Later, a good-looking young man, a "friend" of mom's, stopped at our home to drop off some LP’s: Gershwin, Ravel, Mozart. Mom played honky-tonk love songs; this music was new and complex. He was on his way to Spain to study flamenco. I never told my mother about the bullying I endured in school, but even with her grueling schedule it became clear to her that I was scared to go to the local junior high. Mrs. Garcia lived three doors down from us and taught at a parochial school. She was stern and distant and kept her daughters in the house while I played baseball and hide-n-seek outside with her son. If I stayed too late at their house in the summer, I’d get trapped into having to kneel on the hardwood floors and say an entire rosary around the furnace grate with all nine of her kids. Somehow Mom worked it out with St. Anthony’s and Mrs. Garcia for me to attend 7th grade at a reduced tuition. I’d commute in with her in the morning. We never spoke. She didn’t smile. It was the best school year of my life in Santa Fe. American physicist, Joseph Henry: The seeds of great discoveries are constantly floating around us, but they only take root in minds well prepared to receive them. Writers ask "what if?" Of all the magazines one might choose to give a child, why did Claude and her lover give me a subscription to National Geographic? Why did the flamenco dancer give me those three albums? Mom was the only divorced woman on the block (which meant she couldn't receive communion)-did Mrs. Garcia hope Catholic school would save me from a disastrous future? Who is the her mentioned in the title of this piece? Serendipity prepared me for a different life. I've always thought that if I'd remained in Santa Fe, I would have died young. No future was tangible in my meager surroundings. My mother's youthful hopes and dreams had been squashed and she did nothing to foster any in me. With age and experience, I know now that it's possible I would have just stepped into my mother's shoes, maybe not as a waitress, but as some other hard-working female who never got to live her dreams. This would have been what my mom called "life" but for me it would have been death.